Patch 4.2 brought with it some new hairstyles at the Barbershop! I have collected and organized them here by race for convenience. Each new hairstyle has also been added to the appropriate style class page. For example, the new Night Elf “Sassy Tails” style has been added to the “Tails” page (section IV of this manual). 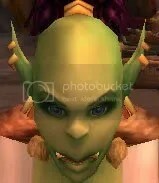 Perodically, “blood elf face” floats through my search terms. I imagine they’re getting pulled in by my my previous assertion that Blood Elves and Draenei have all the same faces, but they’re probably looking for something a little more useful. 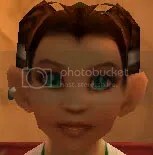 I have decided to compile a visual directory to the faces and skin tones available to female characters to make the ABMFS a complete guide not just to the Barbershop but also to the character creation screen; please keep in mind that face type cannot be changed at the Barbershop, and skin tone can only be changed at the Barbershop by Tauren, Worgen, and Pandaren characters. So choose your face and skin tone carefully, because unless you want to cough up $10 for a paid appearance change, you’re stuck with them! 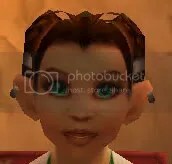 I used WoW Model Viewer to prepare most of the pictures because it allowed me to get better close-ups than I could have obtained from the character creation screen or in-game. For every race except Undead (and Pandaren, who cannot be DKs), the DK creation screen adds three extra faces (withered versions of three of the regular faces) that, when chosen, restrict the character’s skin tone to three zombie colors. The necrotic DK skin tones may only be accessed in combination with one of the withered DK faces; this also applies to the fur color of Tauren and Worgen DKs. The pictures of the Death Knight-exclusive faces and skin tones were captured from the character creation screen and are shown with simultaneous cycling of face, skin tone, and DK hair color; these are only a few of the 27 possible DK-exclusive combinations for each race. Faces and skin tones are shown in the order they cycle through on the character creation screen, stepped simultaneously. If there were more faces than skin tones, or more skin tones than faces, I didn’t change from the last value of the factor with less options while stepping through the remaining values of the factor with more options. For example, Humans have 15 faces and 10 skin tones, so the last 6 faces are shown with the 10th skin tone. Draenei have 10 faces and 12 skin tones, so the last 3 skin tones are shown with the 10th face. I haven’t iterated the Tauren and Worgen normal skin tones because those are already shown on the “Colors” page, and I have not prepared a correlation between Worgen wolf-form and human-form skin tones. 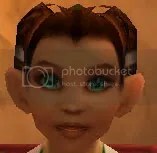 Worgen in human form have the first fourteen Human faces and the same DK faces, in the same order. Kamalia’s Guide to the Barbershop, concluded (part 10 of 10). Each of the other races has a special feature that can be modified at the Barbershop. Shown in the order they cycle through. I have simultaneously cycled through the hair colors to show how hair and tattoo colors are linked. Shown in an approximate progression. These styles are available on the character creation screen. Additional options are available at the barbershop. Three new styles were added in Patch 4.2. Tauren may also change the color of their horns, choosing grey, tan, or black. Shown from smallest to largest. Shown in the order they cycle through. Kamalia’s Guide to the Barbershop continued (part 9 of 10). 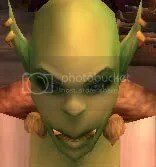 Goblins and Worgen change not just their earrings but also the entire shape of their ears. Changing the shape of Goblin ears simultaneously alters the shape of the nose and chin, so I will show both a front view and a profile view of each style. Shown in an approximate progression from smallest to largest. Kamalia’s Guide to the Barbershop, continued (part 8 of 10). The third option for Humans, Dwarves, Gnomes, Orcs, Blood Elves, and Pandaren. Pandaren earrings do not fit neatly into the categories I have used to organize the earring options of the other races, so I have shown them as a separate block. “Small earrings” for the gnome and “hoops” for the blood elf. 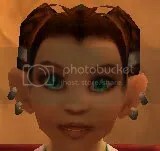 The human has earrings on both sides, the dwarf has only one. The gnome can choose right side, left side, or both. The human has earrings on both sides. The human has earrings on both sides. These are “small earrings” on the dwarf. Kamalia’s Guide to the Barbershop, continued (part 7 of 10). 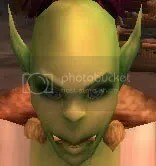 The orc version is called “crest”, the troll version is called “mohawk”, and the goblin version is called “fauxhawk”. The orc version is called “braided hawk”. 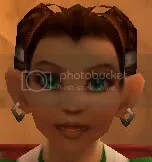 The draenei style is called “slicked”. 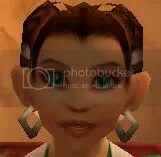 The pandaren styles are “chopsticks loop” and “twin loops”. The dwarf style is “wings”. The troll style is called “backblown”. I’d love to see wigs — a temporary form of headgear — of this hairstyle for everyone to wear during the Hallows End holiday. Kamalia’s Guide to the Barbershop, continued (part 6 of 10). Azeroth has a serious dearth of curly hairstyles! I would love to see the draenei “jeweled band”, goblin “elegance”, and troll “wrapped braid” hairstyles made available to women of all races. My new favorite curly hairstyle, as it most closely matches the way my hair behaves IRL. I thought about putting this one in with the “braids”, but decided to put it here because of the lovely rippled hair in the back.